3 How To Sign up Using Unocoin Referral Code? 4 How to Verify Unocoin Account? 6 How To Get Unocoin Referral Code? 8 How To Redeem / Convert Bitcoins Into Bank Cash? 9 How to Get Rs 200 BMS Voucher? Unocoin refer and earn trick– Hi Friends, welcome back to our website. Hope you are aware of Bitcoins. If not, Read about bitcoins. 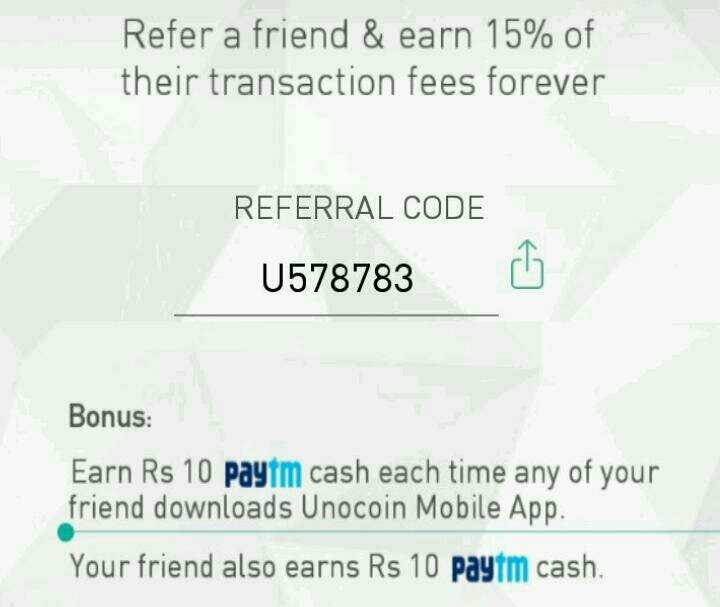 Now we are back with another bitcoin wallet Unocoin Referral code to get Rs 200 INR and Rs 10 Paytm cash for Free. You can earn from your Friends 15% of their Investment in Bitcoins. Also you will get Rs 10 Paytm cash per Refer. It is a Similar wallet like Zebpay. Using Unocoin Easily buy Bitcoins with INR from any online banking or through NEFT/RTGS. Selling bitcoin is just as easy, you will receive INR directly into your bank account. All banks that have IFSC are currently supported. They have a great referral campaign including Rs 10 Paytm cash Per refer directly in your Paytm wallet. Also they giving bitcoins worth Rs 200 and Rs 10 Paytm cash on Sign up. You can redeem this sign up bonus into BookMyShow Voucher or Recharge your mobile. So don’t waste your much time, loot fast! Now follow the below instructions carefully to sign up on this app. How To Sign up Using Unocoin Referral Code? First of all ⬇Download Unocoin App. Complete the Registration Process by Verifying your Email Address. Now Verify your Account by Submitting your details. Follow Below steps to verify your account. 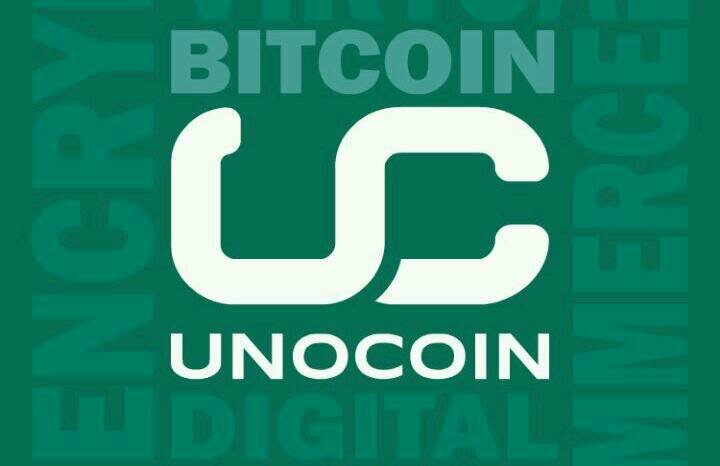 How to Verify Unocoin Account? You need to be verified User to get your Referral code. Firstly Go to your Profile and update your details with contact /Paytm number. Then Enter your Details and Upload Required Documents. After Upload it will 2 days or more to verify your account. Now you will get Rs 200 and Rs 10 Paytm cash directly in your Paytm wallet. You will get Rs 10 Paytm cash Per refer + 15% from your friends investment. Also they giving Bitcoins worth Rs 200 and Rs 10 Paytm cash on Sign up. You only get referral code after verify your account. Note: To Get your referral bonus of Rs 10 Paytm cash your friends doesn’t require to verify their account. 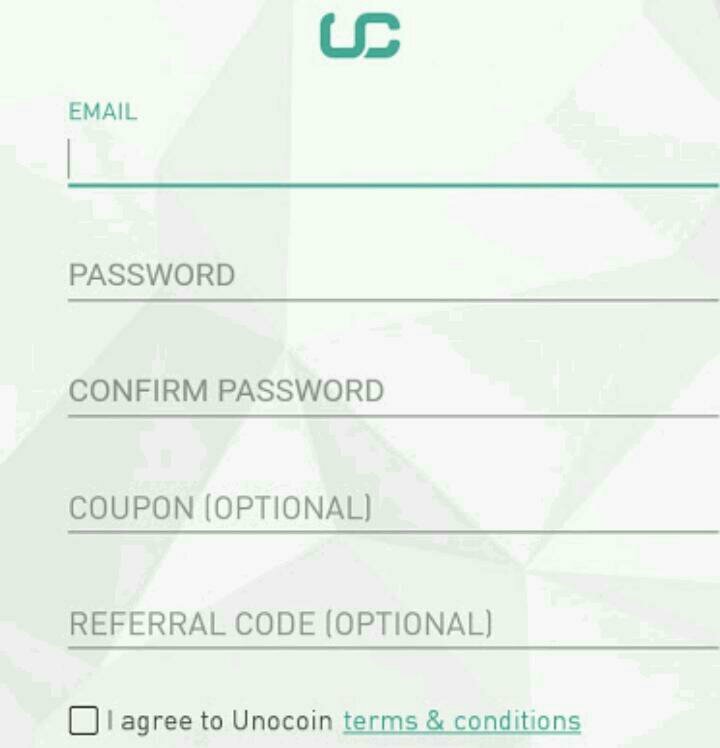 How To Get Unocoin Referral Code? After Verification you will get Your Refer code from Refer and Earn Section. Firstly Go to Menu >> Refer and Earn Section. Then Get your Refer Code from there and share it with your Friends. You will get Rs 10 Paytm cash and 15% of the friends Investment in Bitcoins. Your Friend will get bitcoins worth Rs 200 on Sign up and Rs 10 Paytm Cash. How To Redeem / Convert Bitcoins Into Bank Cash? You can withdraw or redeem or convert your bitcoins into bank account (*min Rs 1000*) by following the below instructions. First of all go to dashboard. Then click on Sell Bitcoins. After that select amount (*min Rs 1000*) and choose Bank Account option. You will get your amount in Bank within 2-3 hours or some time it will take 24 hours. You can also redeem your sign up bonus into BookMyShow Voucher or Mobile / DTH Recharge. Now follow the below instructions to get BMS voucher or Mobile recharge. How to Get Rs 200 BMS Voucher? Open App and Goto Menu. Now go to Wallet Top-Up Option. 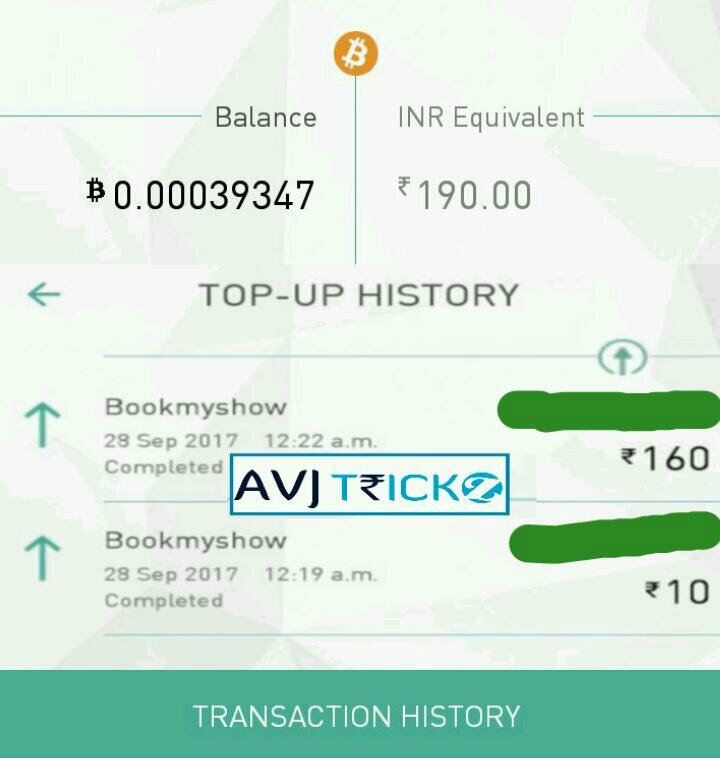 Then Enter BookMyShow Registered Number and Enter Amount of Rs 200 or 190 Depending upon Bitcoin Value at that Time when you redeem. Soon your BMS Wallet will be Topped for That Amount. If you want to recharge your mobile, select Mobile recharge from menu and proceed with your details. What is Bitcoin? how them differ from normal currencies? Sir Where do you find this offers ?